Scaffolding is (nearly) all down! Barn 3 now is ready for it’s final bit of build now that the scaffolding is down. It feels like nothing much has happened, but actually quite a lot has been going on as the roof has been finished and the chimney flues installed. The flues were quite a big job as there were two for barn 3 (log burner and boiler) and log burner for barn 2. 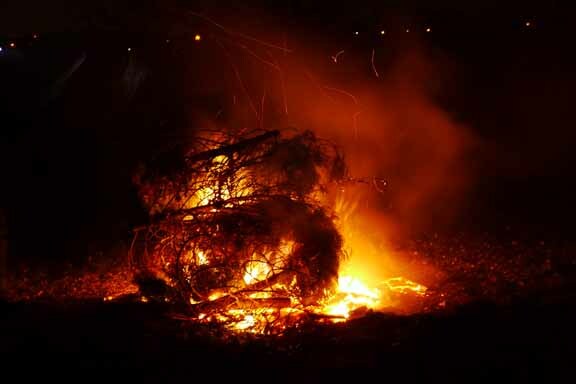 Note the plastic coated bonfire in the garden ready for bonfire night! The flue liners from the bedrooms. Unfortunately, they stick out a bit more than we wanted them to so there will be a bit of rearranging required for the internal walls to make sure everything fits in as we want it to. We thought that the plans should have taken care of all this but there seems to be more 'seeing how it looks’ going on as the build progresses than anticipated. No matter how hard we tried to get all these things fixed in the plans, we didn’t get quite as much input from the ‘eco’ installers as we had hoped. The plus side is that they are local and responsive to the fluctuating timescales, and much cheaper than a couple of the bigger national companies we approached for quotes. It all adds to the fun (or stress) depending on how high your spirits are! 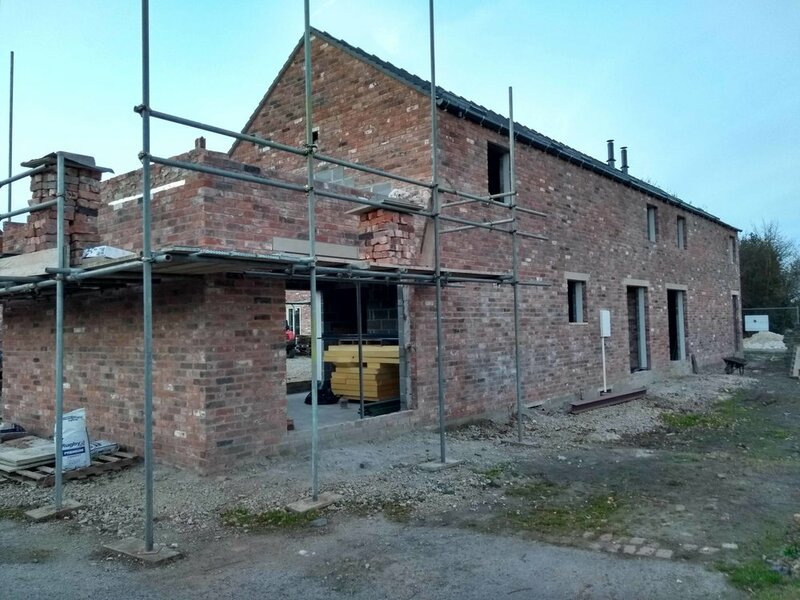 The next step for barn 3 is windows and doors, and of course to finish the gable to the dining room and put on the roof, install velux windows and solar pv panels, so not quite there yet! But anyway, these are the barn style doors ready for installation. On the positive side, we have ordered a garage door and when that is installed we can have the boiler fitted and then………heating for barn 1……hoorah. 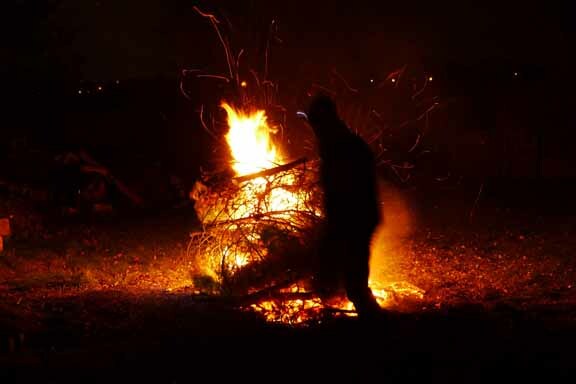 Last night we had our fourth……..yes, fourth…..bonfire party at the barns. Every year we say ‘well at least next year we will be living at the barns and it will be so much easier to do’. Well again we had to do all the cooking at the flat and transport it with the slow cookers and kettle and drinks……well, everything really. We set up in the ‘hall’ of barn 3 as this has a roof and a good view of the garden, and it was really weird as this is where we set up for our first bonfire party, but that was in the original building. The layout of the hall is almost exactly how it used to be in the old building (by design of course), but it looks much sharper and straighter than before, thank goodness. Despite all this, we had a lovely time. 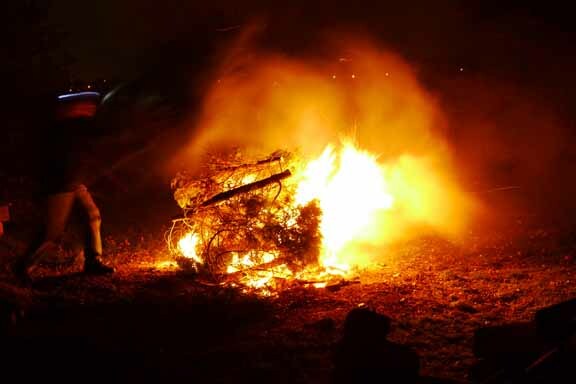 The bonfire was fantastic, the food was fine - I mean who doesn’t like a hot dog, and the fireworks across the valley at the Midland Railway Centre were superb. 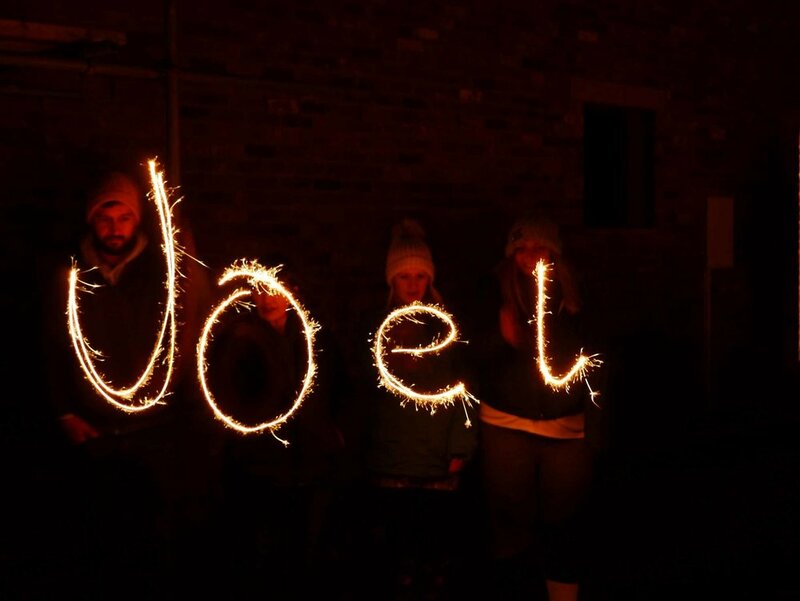 Also, we continued our tradition of sparkler writing and eventually, with a bit of practice, came up with Happy Joel (our littlest member of the family)!